There's good reason why this is one of the more popular bass fishing crankbaits on the market. I fish shallow water the large majority of the year. My local lakes stay fairly muddy, so I'm able to target the 2 to 6-foot zone for about ten months per year. This has resulted in me testing nearly every shallow crankbait I can get my hands on. They're my favorite lures and over many years, I've become fairly picky when it comes to my likes and dislikes with shallow-water plugs. I've always considered the Bandit 100 Series a staple in my boat. I've caught some of my biggest crankbait bass with this crankbait and I believe there are several things that make it special. First things first, I really like its simplicity. That may sound silly to some, but there's nothing gimmicky about this lure. No outrageous claims or features; it just catches a bunch of bass. You don't have to take it out of the box the night before you fish and obsess over tweaking it or jazzing it up. Sometimes I'll change the hooks if I'm fishing it on especially heavy line, but other than that, it's ready to catch fish straight from the package. 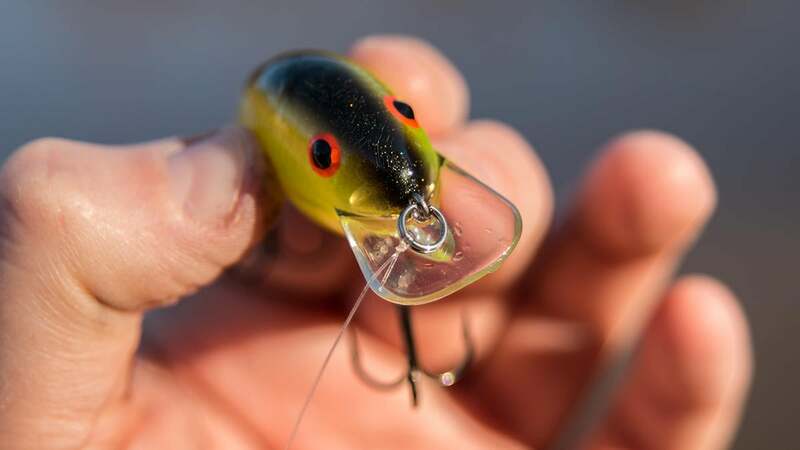 You rarely have to tune this crankbait either, which in my opinion, is a large reason for its massive popularity. 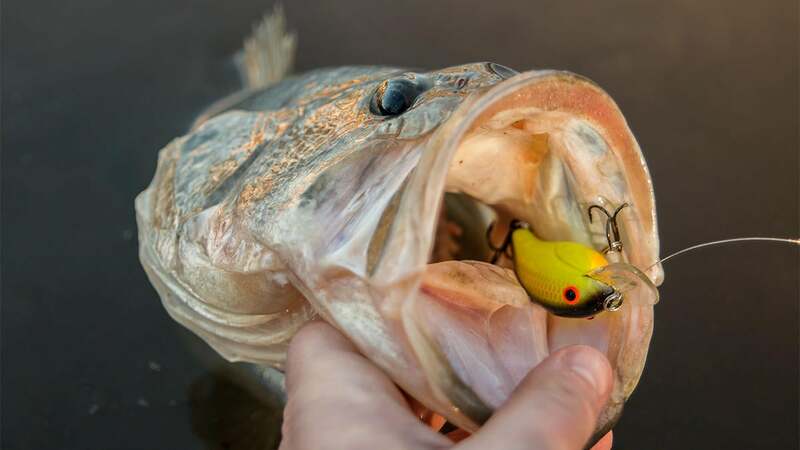 Lots of anglers think their crankbaits are broken when they swim out-of-line, but that's often just a sign that it needs to be tuned. This happens frequently when you hit the lure repeatedly against docks, seawalls or riprap. I call the Bandit 100 a workhorse because it can take just about any abuse you put it through. I've made some pretty horrible casts with it throughout the years and I can probably count the number of times I've had to take a set of pliers to the line tie. It's also made of plastic and holds its paint exceptionally well, which is really nice. "All-seasons" is definitely a relative term depending upon your location, but as long as your lake isn't covered in ice, you can catch fish on a Bandit 100 just about all year long. That's no exaggeration. In the winter, you'll have a lot of success targeting riprap and pea gravel banks on south-facing banks as they warm up quickest from the sun. In the fall, a shad-colored Bandit 100 fished on secondary points and in the back flats of pockets will produce several dozen fish in a single day at times. In the early spring, any irregularity or shallow point can be prime for a Bandit 100 and throughout the summer, banging it around laydowns adjacent to deep water can produce plenty of bites during a notoriously tough time of year. Bandit seems to have created a crankbait that rides the middle line quite nicely. By that, I mean that it's not too wide so it spooks wary coldwater fish, but it's also not so thin that it fails to displace enough water in warm or muddy water. I recommend these crankbaits to a lot of my guide clients who are new to crankbait fishing. It's just hard to go wrong with 'em. 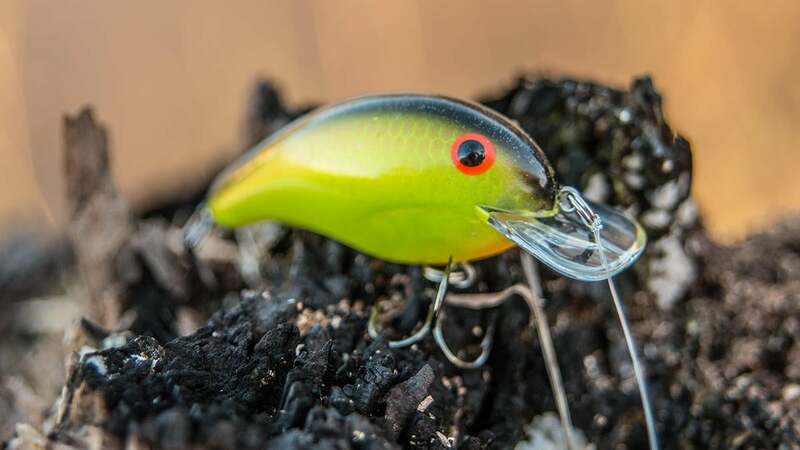 The Bandit 100 is one of the most affordable shallow-water crankbaits you'll find. In a day when many hard lures are being sold for $15 to $20, it's refreshing to find a plug you can buy for less than $7.00. 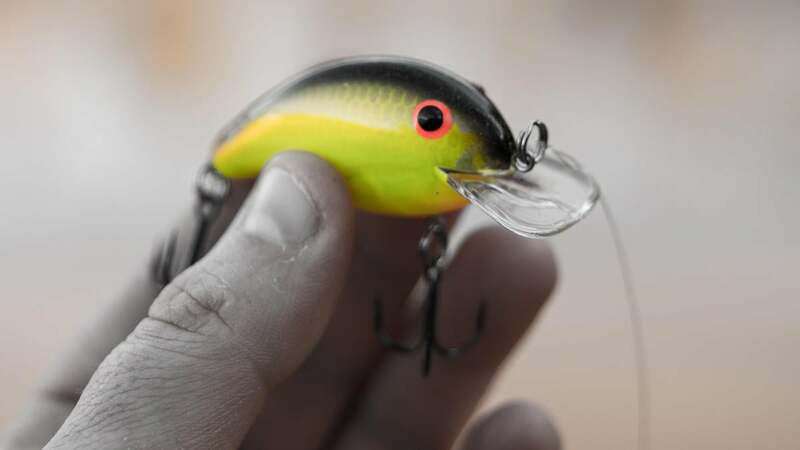 The components of this crankbait aren't too bad, either, so try not to let the lower price point get in your head too much. The hooks are very sharp and hold up well, especially for two or three long fishing trips. 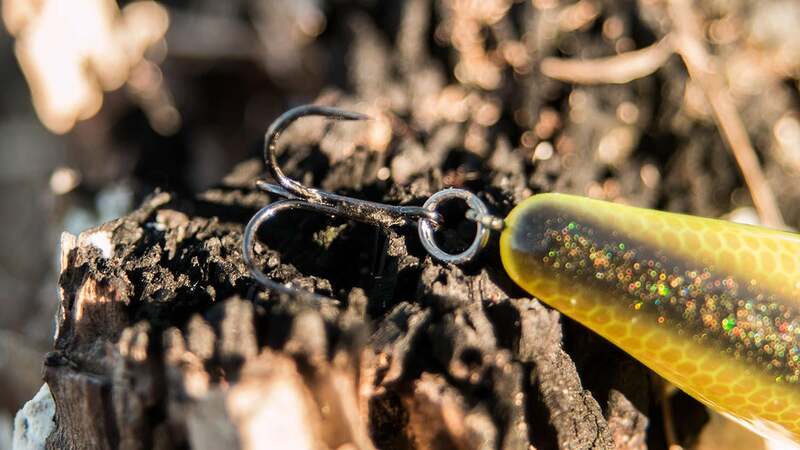 They are a thin-wire treble, so if you're going to be chucking this lure on 15-pound test or above, I might recommend changing to a heavier-wire hook. I normally use 12-pound test, so I haven't had an issue with the stock hooks. The split rings are also pretty stout. I've caught a bunch of fish on this lure and except for an occasional big striper, I've never had a complaint about the split rings. Admittedly, I don't get too bent out of shape when it comes to crankbait colors. I used to get carried away with it, but the older I get, the simpler my selection process becomes. With that being said, however, take a look at the color selections on Tackle Warehouse. There are 57 (yes, you read that correctly) color combinations you can choose from. No matter where you live or what you have confidence in, I'm fairly certain you'll find something you really like. These photos in this review are of my favorite chartreuse/black back color scheme, because I've been fishing a bunch of dirty water lately. My other favorites and the colors I recommend most often are bluegill, brown craw chartreuse belly, bone orange belly, natty light and splatterback. If you're a cranker, whether you fish big lakes or farm ponds, I strongly suggest trying one of these crankbaits. They're durable, they catch fish and they won't run you broke if you happen to break one off. There's no telling how many fish I've caught with them. The Bandit 100 Series is available at TackleWarehouse.com.